Quentin Jacobsen has spent a lifetime loving the magnificently adventurous Margo Roth Spiegelman from afar. So when she cracks open a window and climbs back into his life — dressed like a ninja and summoning him for an ingenious campaign of revenge — he follows. After their all-nighter ends and a new day breaks, Q arrives at school to discover that Margo, always an enigma, has now become a mystery. But Q soon learns that there are clues — and they’re for him. Urged down a disconnected path, the closer he gets, the less Q sees of the girl he thought he knew. Quentin Jacobsen and his neighbor Margo Roth Spiegelman go to the park one day when they’re ten and find a dead man. They later find out that he killed himself, but still wonder why it was them that found him. Q and Margo stop speaking about it and eventually drift away from each other, but one night Q sees Margo outside his window tapping on the glass. He’s puzzled when he sees her, but he lets her in and she immediately says that she needs his mom’s car. It’s the middle of the night, but he agrees to drive her around because he’s been in love with her since they were ten. First they go to the grocery store and get fish and a hair removal gel kit and he just goes in and doesn’t ask why. He asks where she needs to go, and she tells him she has a couple errands. They drive around in the middle of the night sabotaging things and spray painting letters on houses and cars. The next day he wonders what he’ll say to her, but she doesn’t show up. Huh, weird. Understandable because they were out late, but then she doesn’t come for multiple days in a row. He feels like she has left clues for him so he follows them and finds that she went to a paper town because she was sick of all of the paper people living their paper lives… This was a beautiful book. 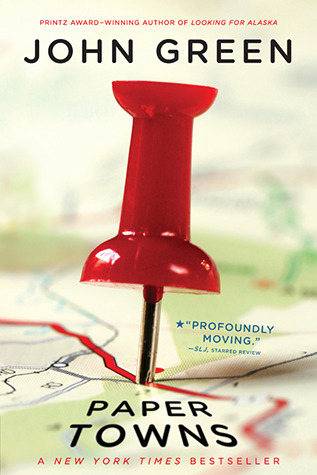 John Green has a writing style that is so perfect and so unique. This is a book that needs deep thinking to understand. If you’re reading this book to finish, you won’t understand it or like it. Quentin was such a fun character to follow. He was the perfect example of a nerd. His best friends are in band, he’s weak, and he’s smart. He was perfectly flawed. Margo was an interesting character. She was a stereotype popular girl by not socializing with the nerds, but she was so much deeper than just a popular cheerleader. She was beautifully flawed as well. I would choose Quentin because he is a nerd. I love nerds. They are the ones who don’t peak in high school. They will succeed in life because they’re smart, but so under appreciated. Honestly nerds are the best people. Always fall for the nerd. Allyson isn’t the adventurous type of girl at all, She has always planned everything, and her Europe trip after graduation wasn’t any different. Her parents gift her a trip with an organized education group. She goes with her best friend, and she follows all the rules and doesn’t go to the pubs with the rest of the group. The group is in line for Hamlet when some actors and actresses come up to them with flyers for the play they’re performing. The two friends ditch the long line and follow the directions to an outdoor clearing. The group stars performing, but this is a different kind of performance. The actors are running around and acting instead of staying in one spot. Allyson and her best friend are clapping after they’re done performing and one of the actors flips a coin around his knuckles then sends it flying toward Allyson. She catches it then claps even more. Allyuson and her friend go back to the hotel and fall asleep so they can get up for their train ride back to London when the actor from the performance comes up to them. The man who comes up to the pair is named Willem. Allyson recognizes him as the man who threw the coin at her during the performance. “Will you go to Paris with me?” Willem asks Allyson. She doesn’t know what to do… I mean what’s just one day? This story was a little far fetched, though. I would choose Allyson because she got to go to Europe. I want to live in Europe more than anything. I live in a small town in the midwest United States. I want to go somewhere, and that somewhere happens to be Europe. I will go to Europe and live there. It’s going to happen. 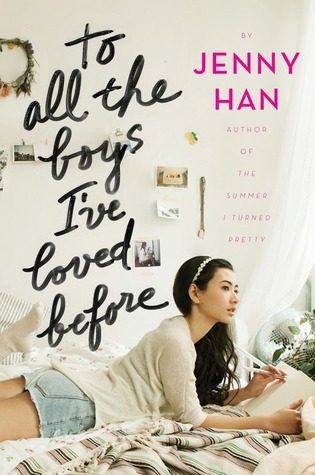 Lara Jean has loved 5 boys in her life. She set aside her feelings for each and every one of them by writing them a goodbye love letter. She kept all of these letters in a hatbox that her mother gave to her before she died. She writes the letters and pours all of her emotions into them, addresses them, then puts them in her hatbox. One day she finds out that the letters are sent to all five of the boys. One is sent back to her, one is sent to a boy who turns out to be gay, one of them never responds, one of them is sent to the cool kid of her grade, and one is sent to her sister’s boyfriend.The cool guy, Peter, just got dumped by his girlfriend and confronts Lara Jean about the letter. They decide to fake going out to cover up the feelings for her sister’s boyfriend, Josh, who lives next door. They create a contract and act like a couple because he wants to make his ex-girlfriend jealous, and she doesn’t want her sister’s boyfriend to know she has feelings for him. It’s all going well until she realizes that she has feelings for him again. She doesn’t know if he actually likes her or if it’s just the act. 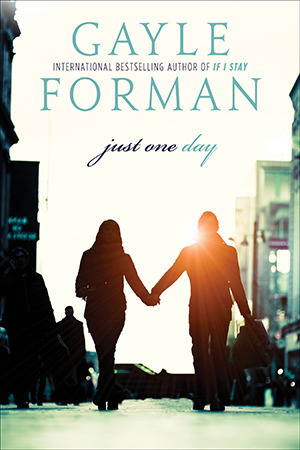 She’s too chicken to actually tell him that her goodbye love letter didn’t work… I loved this book so much. Jenny Han is an amazing writer. Her books are so real. The way the relationship was formed was so beautiful. I read this book in one day. It was one of the best books I’ve ever read in my life. Lara Jean is the main character and her love interest is Peter, the cool kid in school. Lara Jean lives with her two sisters, Margot and Kitty, and her father, Danny. She is very family oriented and when her older sister Margot goes to college abroad, she becomes the oldest girl in the household. Lara becomes the mother-figure to Kitty and takes responsibility of all the things Margot did before she left along with all her responsibilities. I honestly loved Lara Jean. I loved the way she interacted with her family and Peter. Peter is the most perfect human. Book crush…check. Obviously I would choose Lara Jean. She’s so cute and she has Peter all to herself. Peter is the perfect match for her. Everything about him is perfect for her. He’s nice and he loves her. The steps to there relationship were absolutely perfect. Thank you to the authors that are talented and make characters so perfectly flawed. I love all of you who can create a person in my head. I fell in love with Peter’s personality. You can’t see a character with your eyes. You have to imagine them. That’s the best way to fall in love; personality and character over looks. 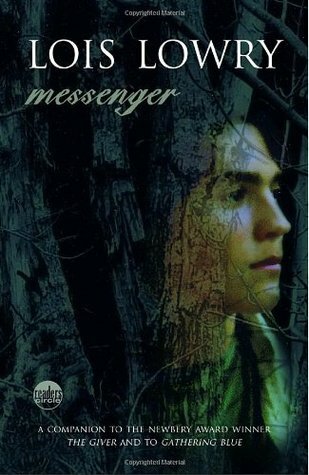 “Messenger” is the masterful third novel in the Giver Quartet, which began with the dystopian bestseller “The Giver, ” now a major motion picture. A boy named Matty lives in a village of “broken people.” Some have disabilities, but some are just fine and are completely healthy. Matty lives with a blind man who we know to be Kira’s father. The previous book, Gathering Blue, follows Kira. Matty was friends with Kira when he was a young boy. He lived in the village that she had grown up in. He wanted to find the plant to make blue dye for her weaving and stumbled upon the village. Everyone in the village is nice to each other and they all help each other. *SPOILER ALERT* The person who is Leader of this village is Jonas from the first book. You wouldn’t catch that if you didn’t read the books one right after another, though. *SPOILER OVER* The blind man that Matty lives with wants his daughter to be with him, so Matty goes into Forest to travel and get his daughter, Kira, for him. This was a really short book, but it was really good. I love Lois Lowry’s writing style, and I love this series. It’s so well planned out and it’s such a beautiful idea. I cannot wait until I’ve read the last book in this series. Matty is honestly the sweetest character ever. He loves his little puppy and he loves what he does with delivering messages and he loves his gift. I didn’t really like Kira in this book, but she wasn’t in that much of it, so it’s alright. She was kind of whiny. I mean the reasons behind the whininess makes sense, but it was still irritating. Overall my favorite character was Leader. I love him. He’s such a lovable and helpful character. I love that he helps at the end and that he can see beyond. He also has a huge library… and that’s a lot of books… and books are really cool, so yes. I’d choose him. Nancy stumbles upon yet another mystery. Shocking, right? Anyway, Nancy finds a mysterious note attached to a wounded messenger pigeon and she calls in to the Pigeon Registration and finds out it was unregistered. Why would there be an unregistered bird delivering messages, and why would it be wounded? 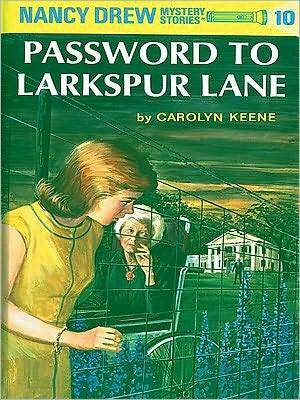 So many questions run through Nancy Drew’s head. She gets ahold of a bracelet with an engraving and a family crest. She takes the bracelet to a local jeweler and asks if he can trace it and see what family it belongs to. She finds out the name and realizes that the woman the bracelet belongs to is being held captive by the “bad guys.” She helps out and finds out where the quote-on-quote “bad guys” are keeping the old woman. She goes there and finds that other old women are being held captive as well. What if she can’t find out who is doing this? I love the Nancy Drew books and always have, but I never read them in order until a couple years ago. As of now I’m on #11 and can’t wait to collect them and read them all. I just have some random ones of the series that I’ve picked up from garage sales, used stores, and book stores, but I can’t wait until I have them all. Nancy and her best friends, Bess and George, are some of my favorite characters, but Ned and Nancy are the perfect couple. I love Ned and I have since I started reading this series. He’s so sweet and he’s such a gentleman. He holds doors and flirts in a publicly appropriate way, and he totally reminds me of my boyfriend. Bess and George are the perfect friends for Nancy. They compliment each other so well. Duh. This is a dumb question. Of course I’d choose Nancy. I mean come on. Teenage girl detective, it can’t get much better than that. Nancy is always so brave and she thinks everything through multiple steps ahead. Not a lot of people do this and I think its a wonderful quality to have. How far would you go to be free—to make your own choices without being subjected to punishment for doing what you felt was right? Could you kill for it? Thinking everything will remain the same as it always has there, Aster is startled to discover that one day . . . the cycle breaks. As a young new leader takes a strange and—at times—horrifying interest in her, will she be capable of discovering the reasons behind his actions and orders? In a world where nothing is as it seems and all things are never anywhere near as simple as they appear at first glance, will she be capable of making the distinction between what is real and what is not? Will she find anyone at all she can trust? More importantly . . . Does she have the strength to do what is necessary to survive in a world filled with evil? Aster is taken from her father as a young child and is made a servant in a castle. She has her chores that she needs to do every day and they haven’t changed since she was brought there. Aster is now older and suddenly some of her duties change. She has to be a server at a party. The leader of the castle, Ahren, tells her to serve food to the Reaper. Reapers kill criminals and other people who have done bad things, but Aster gets assigned to be his personal servant/housemaid. He stays in one of the guest rooms in the castle and Aster brings him breakfast every morning then cleans and straightens up his room. At the beginning she doesn’t allow herself to speak to him, but eventually she allows herself to say two sentences to him each day. She continues to clean his room until one day he just gets up and leaves the castle. Only then is it that she realizes she’s in love with him… Oh my lord. I loved this book. I contacted C. Miller to ask her if I could read and review this book and I’m so extremely glad I did. This book was honestly exceptional. Thank you to C. Miller for sending me this book! I cannot wait to read anything she writes in the future. Beautiful writing style and beautiful story. 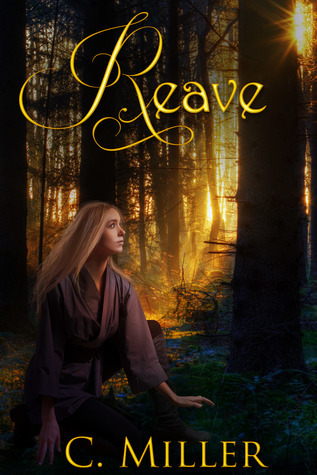 Aster is really reserved and scared of almost everything at the beginning of this book, but then she discovers who she truly is and opens up a little bit. She got taken away from her father at a young age and is put into the castle with no one to look after her. She eventually finds Agatha and she becomes the only motherly figure in her life, but the best part of this whole book was when Chase is introduced. Chase is the Reaper that stays in the castle that Aster is told to look after. He’s so perfect. New book crush. He’s nice and sweet and he loves her. He is the best possible match for her. I will choose to be Aster. Even though she doesn’t have a dad anymore, she meets Chase and Ahren. Ahren becomes her friend and somewhat of a fatherly figure, but Chase becomes her best friend and lover, which is the perfect way to form a relationship. Because she becomes friends with Ahren she then finds out information about the castle and oh my gosh just read it. Do yourself a favor and read this book.